A few years ago someone gave me a book. She has been in the practice of sending me books she has enjoyed and I bless her every day for it. She knew I was at Uni and could not afford to purchase novels. One of the books she sent me was Seed to Harvest. Prior to this book, I had not read any speculative fiction that had a character who looked like me who I wanted to be. I was in my 30s and my sense of place in story telling was completely transformed. There was no turning back. 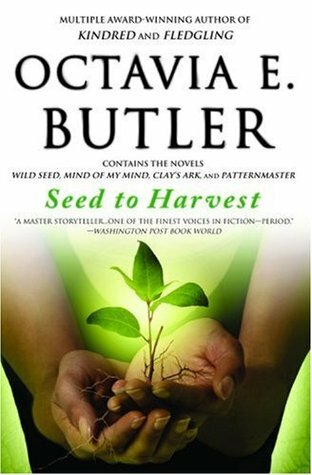 If you have not read Octavia Butler’s work, please add it to the list of things you MUST do. With Ms Butler on my mind, I launched into telling stories of a fantastical nature (Chapter One & Two), and the ride through my imagination was a rollercoaster. I’m ashamed to say that envy creeps up like a long discarded lover and tries to throttle me for leaving it. I wish there was a way to tell Ms. Butler how much her work changed my life and my journey through imagining. You are missed, by those who knew you, and those who wish they had. The book that changed my life, well, mine wasnt a good story at all. I read The Outsider by Albert Camus in 2011 and that book broke me. Unfortunately, it was when I understood what the book was really about, and dedicated myself to studying its every intricacy that I lost my face in the mirror of age. And, well, it’s not been the same since then; I mean…I have not been the same since then. Perhaps at that time I wasnt mature enough to handle absurdity and I was reading far too much than my tender heart could gulp easily. I had to read it anyways because my grades were on the line. I should blog about this any time soon. Glad you shared this. Wow. Im going to stay away from that one!